Youwarou, Mali—Each July, the rainy season causes the banks of the Niger River to overflow, flooding the small Malian village of Youwarou. Over the next few months, grasses grow, fish become plentiful, and fishermen temporarily migrate to the village to take advantage of the river’s bounty. As the regions of Mopti and Timbuktu are prone to extremes, these advantageous conditions do not last long. When the dry season hits—lasting up to 6 to 7 months of the year—the landscape becomes arid, fish are few and far between, and those tied to the fishing economy quickly burn through their savings and grain stocks. Over the past five years, communities in these regions have faced recurring shocks—a pastoral crisis, drought, a coup d’état, and subsequent violent occupation. This instability has resulted in decreased food security, livelihoods, and coping strategies, all resulting in a weak local economy. NEF works in Mali to develop both immediate and sustainable solutions to combat these issues. One approach is to provide farmers and vulnerable individuals with seed and food vouchers that can be exchanged for millet at local markets. The seed vouchers prevent consumption of seeds during the lean season, while the food vouchers allow individuals to free up their financial resources to rebuild their livelihoods rather than spending their savings to buy food in times of scarcity. Kadidia Gabe, a 41-year-old wife and mother of three, lives and works as a fish vendor in the city of Youwarou. Like so many others in the region, Kadidia depends on the timely arrival of the rains to sustain her livelihood and feed her family. Last year the rainy season was delayed leaving Kadidia to worry as her fish supply, grain stock, and savings quickly depleted. 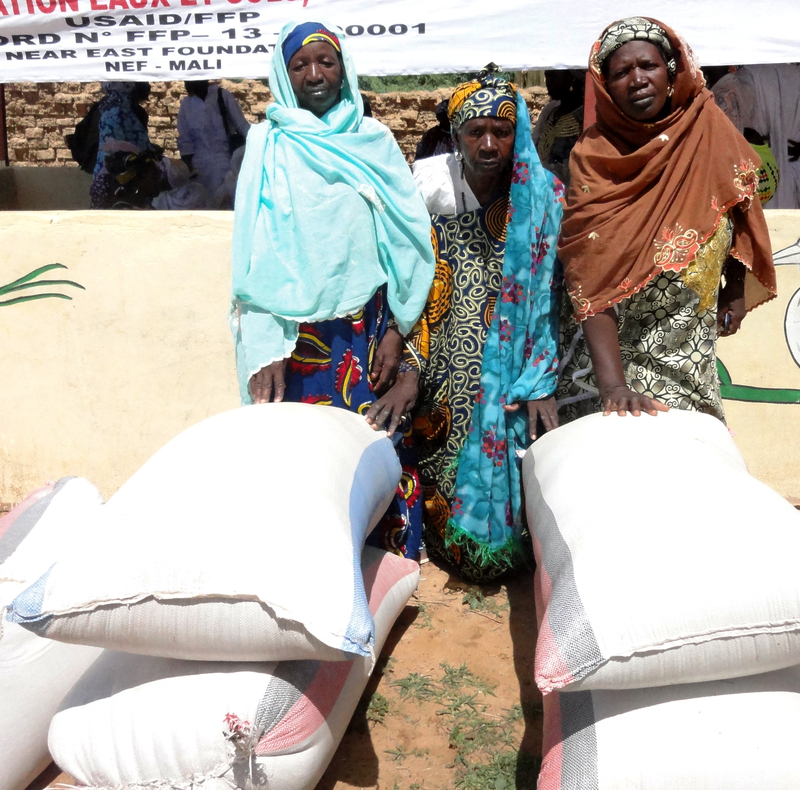 NEF provided her family with a voucher to receive millet to carry them through the lean season. With the vouchers, Kadidia and her husband were able to redirect income they would have spent on millet to fund day trips to neighboring towns where Kadidia could purchase smoked fish to sell back home in fish-scarce Youwarou. 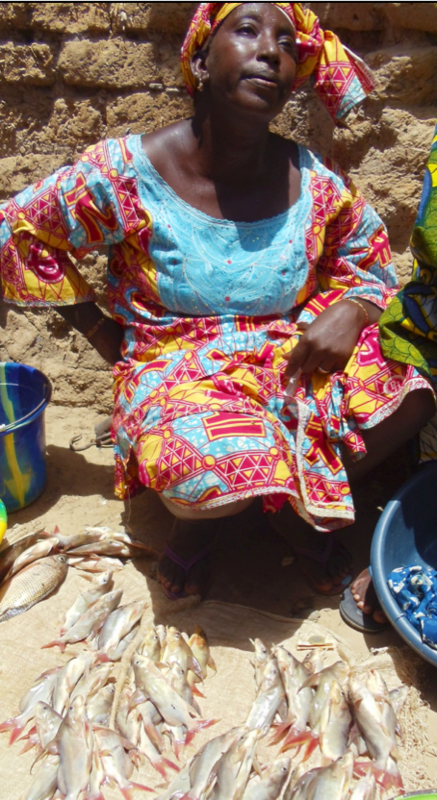 Each basket of fish she sold at the market netted 35,000 FCFA (58 USD) in profits to be saved and spent on necessities for her household. “Thanks to NEF’s support, I was able to carry my family through the lean season. Thank you to those who made this possible,” said Kadidia. Another woman, Djengui Kassambara from Korientze, is the sole breadwinner for her disabled husband and two small children. To support her family, Djengui relied on selling her hand-made clay jars, cans, and other storage containers as her only source of income. Each winter, when water is most plentiful and the climate is cooler, the demand for Djengui’s clay vessels drop, leaving her desperate for a sustainable income to meet the needs of her family. In June, NEF provided Djengui with a voucher for two large sacs of grain—enough to cover her family’s food needs for months. This simple provision gave Djengui the peace of mind to make it through the winter and a means to redirect her income to invest in other income-generating activities, enabling her to restore her family’s livelihood. Now food secure with a small investment at her disposal, Djengui can rest easy knowing her family will weather the upcoming year. Last year, seed protection vouchers were distributed to 6,450 individuals across 216 villages, and food vouchers have been distributed to 3,080 people to support livelihood restoration. NEF is also developing long-term sustainable solutions to these recurring shocks by working with the local community to develop natural resource management strategies and climate-smart techniques—making the lean season less threatening. 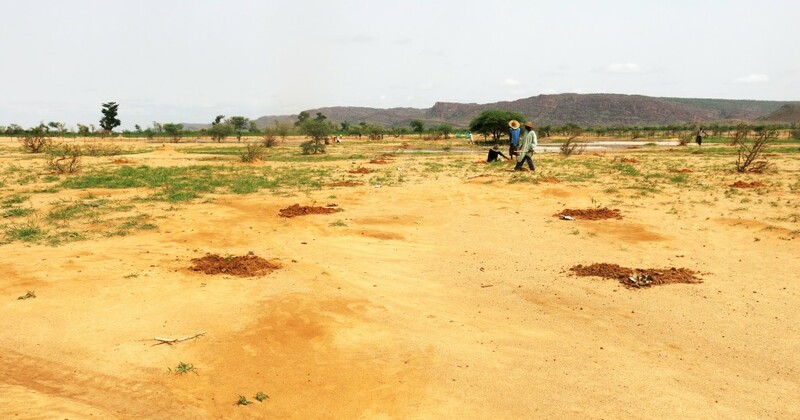 NEF has already trained 2,691 individuals in improved natural resource management practices, specifically in techniques for assisted natural regeneration and soil and water conservation. To read more about NEF’s work in Mali, click here.